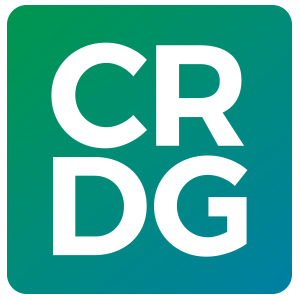 CRDG, a learner-centered community of educators—recognized locally, nationally, and globally for quality research, design, and curriculum—that inspires dynamic teaching and learning. The Curriculum Research & Development Group (CRDG), with its associated Laboratory School, is an organized research unit in the College of Education at the University of Hawai’i Mānoa that contributes to the body of professional knowledge and practice in teaching and learning, curriculum development, program dissemination and implementation, evaluation and assessment, and school improvement. CRDG conducts research and creates, evaluates, disseminates, and supports educational programs that serve students, teachers, parents, and other educators in grades PreK–20. CRDG continues to focus on PreK–12 learning progressions and associated curriculum development, professional development, evaluation, and implementation support in STEM. CRDG STEM programs are recognized nationally and internationally as being among the best inquiry-based programs available. CRDG programs focus on our unique place in the world. Programs in social studies, humanities, the arts, and STEM reflect the cultural and environmental influences of Hawai‘i , Asia, and the Pacific. A particular emphasis is on providing access and support for Native Hawaiian learners. CRDG learning technology faculty work in teams with content experts and curriculum designers to create and evaluate more effective uses of technology in PreK-12 classrooms and in professional development and support for teachers. Understanding how existing educational systems operate (including curriculum, teaching, learning, and assessment systems) and designing more effective systemic approaches to schooling is an essential component of CRDG’s work. Faculty expertise in program research and evaluation enables CRDG to better understand how systems work (or don’t work) in supporting learning. CRDG work influences change in curriculum, instruction, assessment, and school systems by creating programs and practices that result in improved student learning. CRDG concerns itself with the P–20 continuum of education, including those who receive and those who deliver educational programs and services. CRDG assembles teams of academic scholars, teachers, design specialists, evaluators, and others to create instructional programs and professional development services that improve learning, teaching, and assessment. While CRDG faculty are concerned with and address current needs, their primary focus is on creating innovations that by their very nature are intended to go beyond current practice to investigating and creating quality programs and materials for the future. Support for CRDG work comes from a mix of funding sources including the University of Hawai’i, other state of Hawai’i agencies, federal governmental granting agencies, private foundations, and pro bono services from the academic community, locally, nationally, and internationally. CRDG. . .providing quality educational programs and services for preschool through grade 12.